1 (of 5)	Nobel Peace Prize Laureates Malala Yousafzai and Kailash Satyarthi at the Nobel Peace Prize Award Ceremony at the Oslo City Hall in Norway, 10 December 2014. To the far left: Thorbjørn Jagland, Chairman of the Norwegian Nobel Committee. 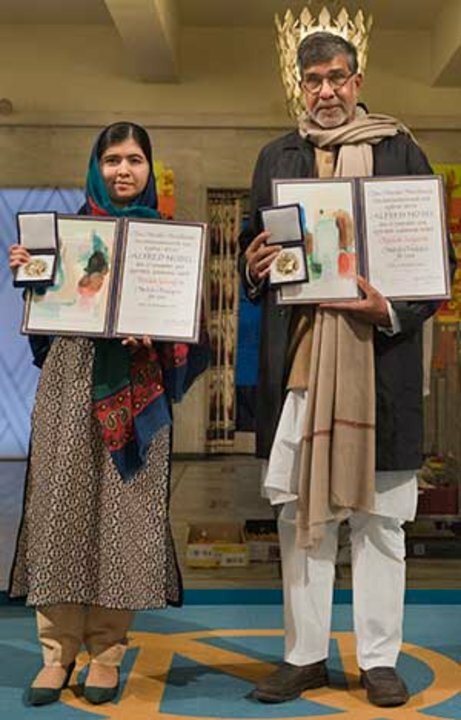 2 (of 5)	Malala Yousafzai and Kailash Satyarthi showing their Nobel medals and diplomas during the Nobel Peace Prize Award Ceremony at the Oslo City Hall in Norway, 10 December 2014. 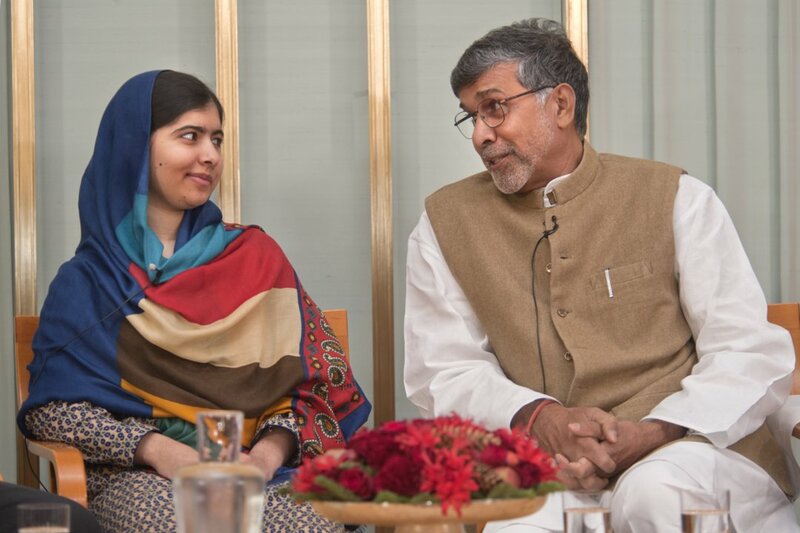 3 (of 5)	Malala Yousafzai and Kailash Satyarthi during a visit to the Norwegian Nobel Committee, 10 December 2014. 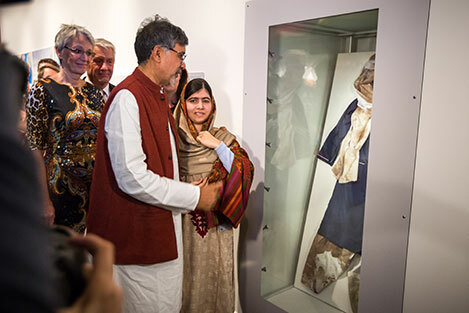 4 (of 5)	Kailash Satyarthi and Malala Yousafzai at the opening of the exhibition "Malala and Kailash" at the Nobel Peace Center in Oslo, Norway on 11 December 2014. 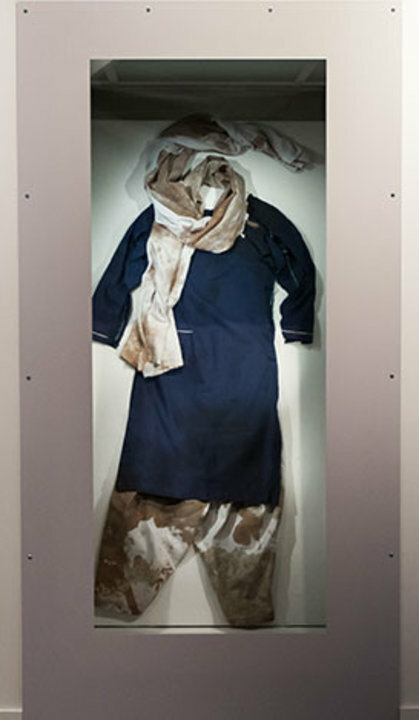 5 (of 5)	The school uniform Malala Yousafzai wore when she was shot in the head by a Taliban gunman in October 2012 shown at the exhibition "Malala and Kailash" at the Nobel Peace Center in Oslo.